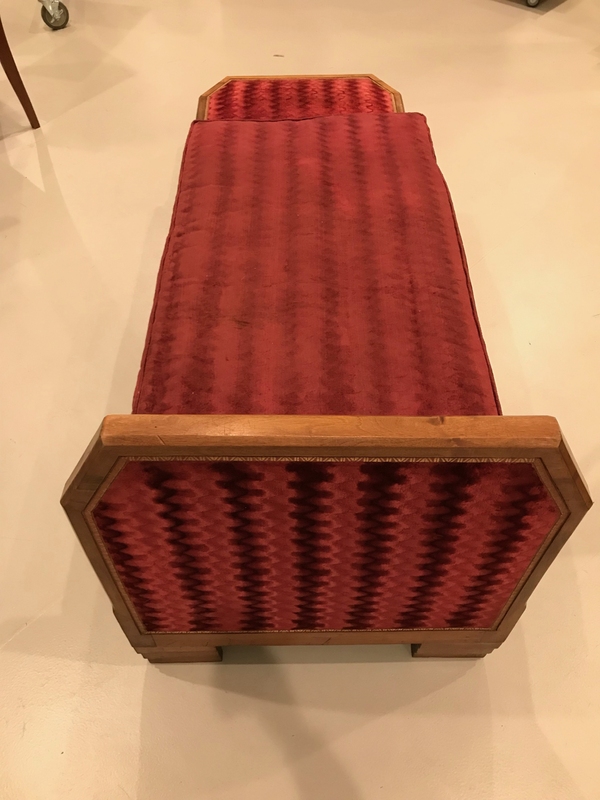 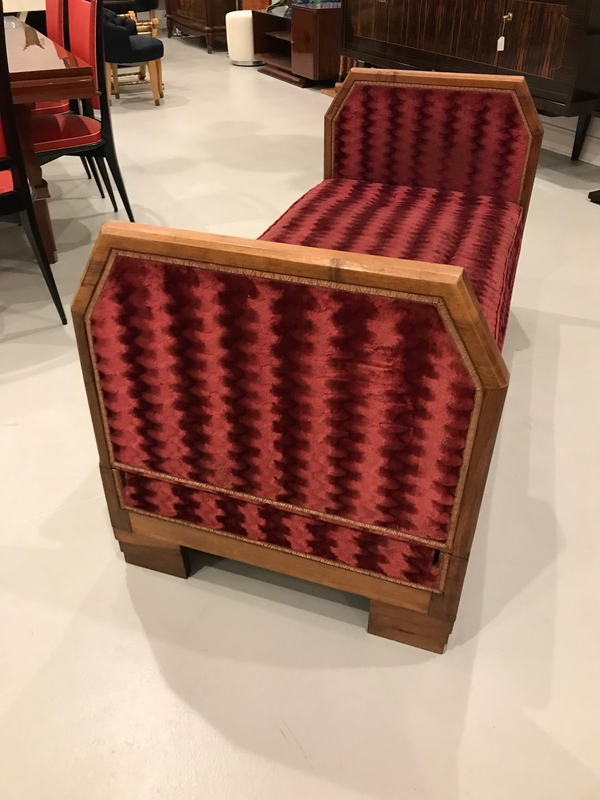 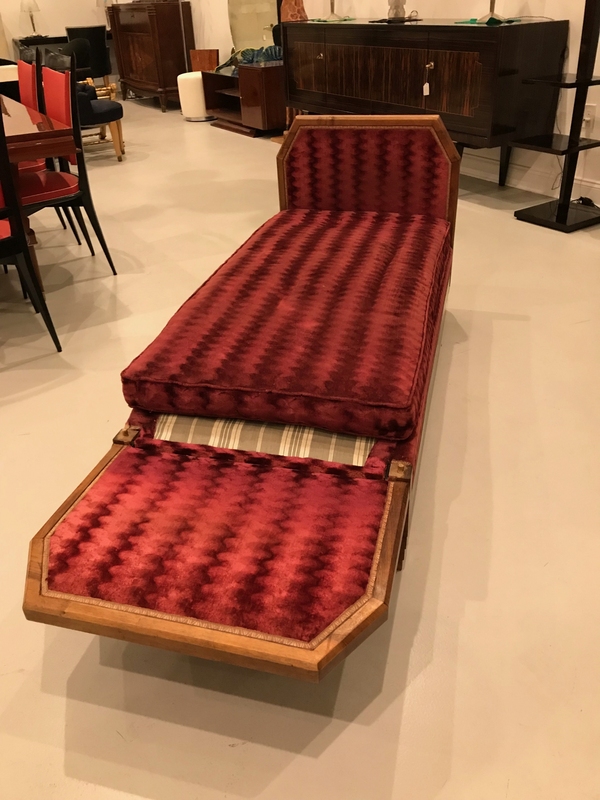 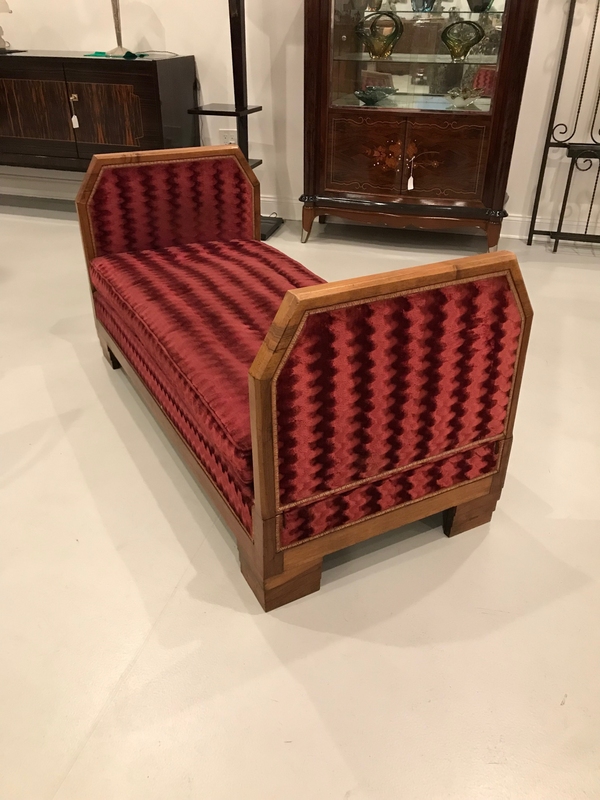 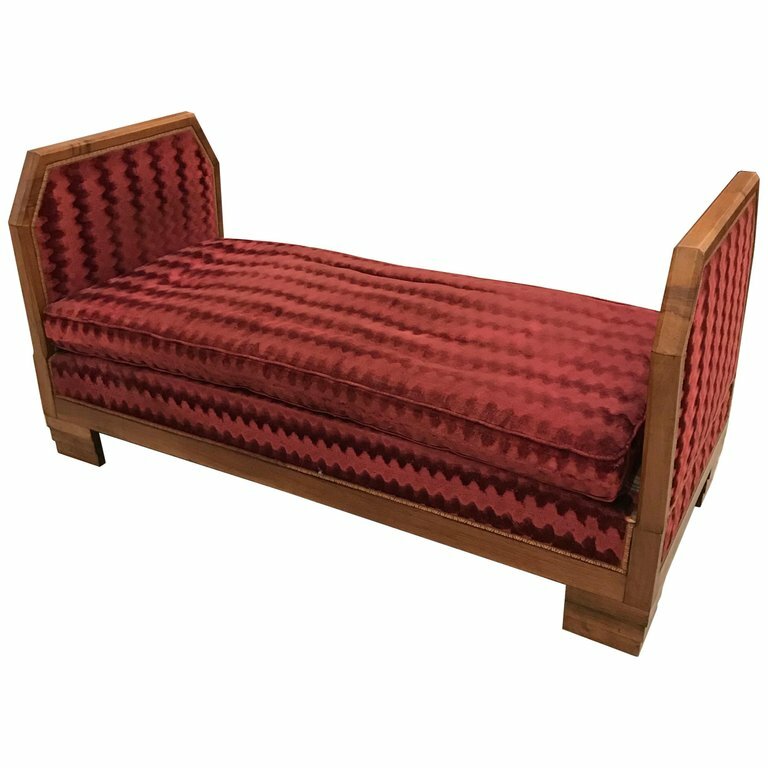 Stunning French Art Deco daybed with original fabric. 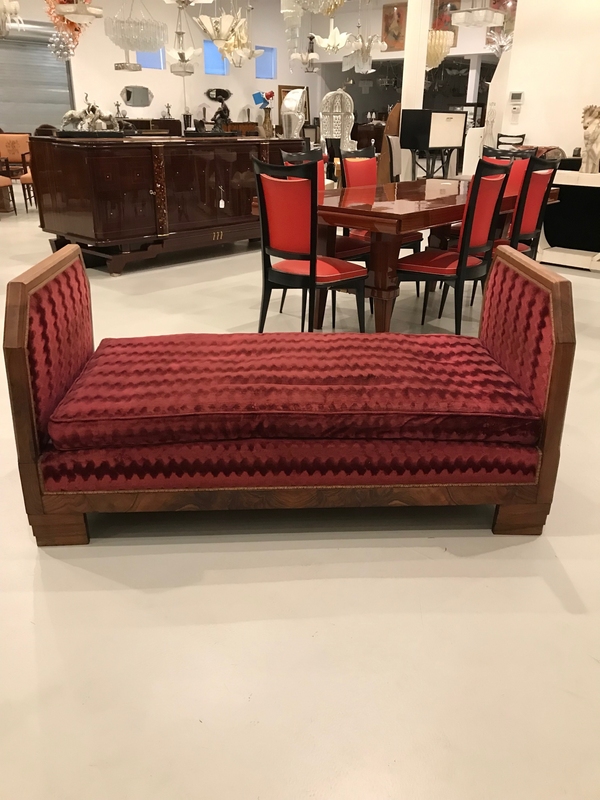 Perfect for lounging on, one of the ends opens up for full body laying. 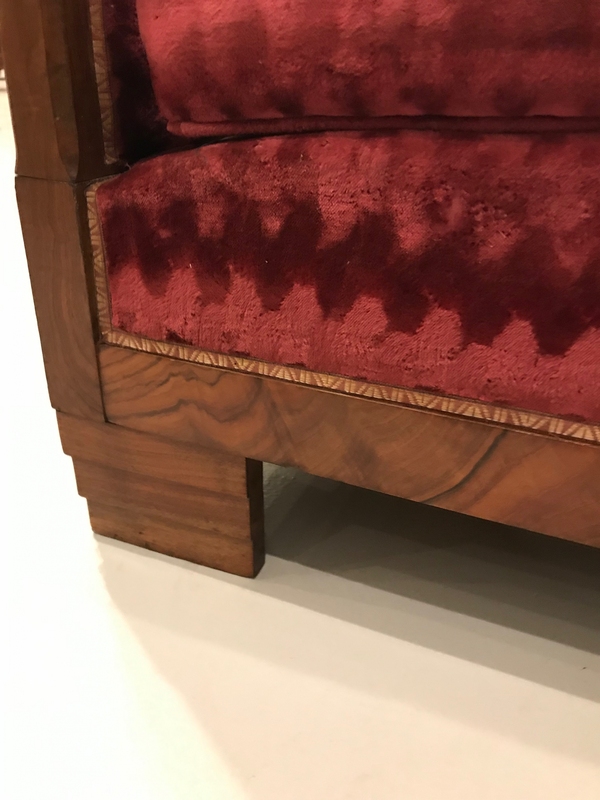 Beautiful deco details. 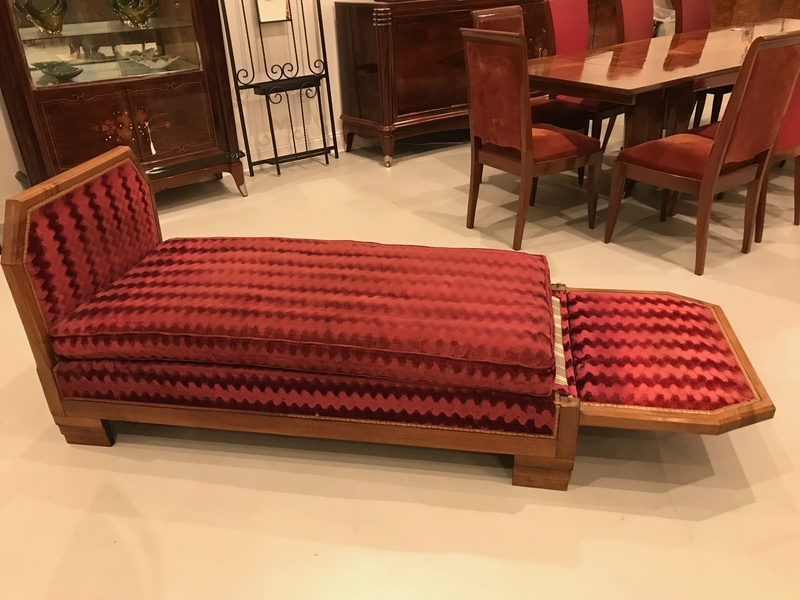 When the daybed is open width is 76 inches.